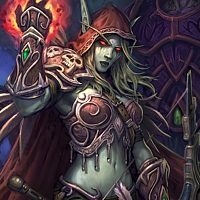 Forums Play Mode Discussion Will Blizzard ever accept combo decks? Will Blizzard ever accept combo decks? 1) 6+ card 20-25 damage combos that opponent can pull out combo pieces with threats. 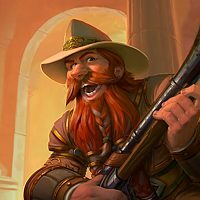 Reliable combos that deal 20 or more damage with 4 cards is a no-no for Blizzard. Yeah but you somehow got two extra fireballs? I'm going to have to assume you played Antonidas and two other spells. And to make this a one-turn combo like the others, you'd need TWO ticks from Thaurissan. Unreliable and 6 cards is not the same as reliable and 4 cards. yeah it was perfectly fine, if you were playing it but to have controlled the board all game and be on 100% and just die to a 60 damage combo from nowhere. 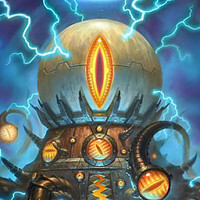 C'thun was fun, it can difficult to get c'thun into kill range and you have to draw him and set it up and the person knows you set it up, c'thun was a decent combo before jade'thun come along the very next expansion. Blizzard is okay with Exodia Mage. Combo decks should definitely continue to exist. They are the most fun and the most difficult to play. And as a combo deck player I appreciate that they printed Dirty rat. It's probably the best card of any of the last 2 expansions and adds a whole new dynamic to the game. I really don't think the devs are that strongly against combo decks or they wouldn't have bothered printing cards like dirty rat, counterfeit coin or kun. If a Handlock is expecting a Leeroy combo to win the game and you Dirty Rat out Leeroy and kill him, welp there goes your combo deck. I love how the devs post just enough to rile everyone up then disappear. The issue is Blizzard's decision on hand disruption. Blizzard doesn't want there to be many ways to disrupt an opponent's hand. Because hand disruption is limited to Listen, mana wriath, weblord, and dirty rat, no one can stop a combo in hand except for winning before it goes off or forcing them to sacrifice pieces to survive. So they want combos to be janky or very very slow finishers for control decks. The opposite of what combo decks are usually. The only fast combo deck they tolerate is miracle rogue. Hearthstone is fun because each game is a little different from the last. Combo decks make for very different types of games, where players can’t rely on their normal decision-making heuristics and have to reconsider their strategic approach to the game. So, in general, combo decks are good for Hearthstone because they add some texture to the ladder experience. But like any other deck, combo decks that become too popular cause issues. When we make cards like Emperor Thaurissan and Counterfeit Coin, we’re aware that they tend to enable combo decks. 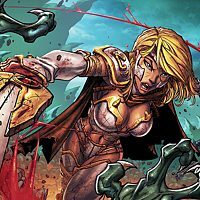 We don’t usually set out to make a particular combo deck be a particular power level; we are always worried about missing and making a deck more powerful than we’d like – and that goes for any type of deck, not just combo decks - but that doesn’t mean that we don’t want any combo decks at all. We do want combo decks. We just want them at the same level that we want other decks. Specific combo decks can be problems for the same reason that any other deck can be a problem: when a deck in Hearthstone gets too popular, you play against it so frequently that it stops being fun. Further, usually popular decks are powerful, so you are also likely to be losing more games than you win while also playing against the popular deck more often than you would like. Powerful combo decks tend to exacerbate this problem because most combo decks aren’t trying to interact with their opponents on any axis that involves minions. It is cool when, once in a while, you play a game against a deck that is all card drawing and removal and you have to consider how you want to ration your threats instead of finding little victories in profitable trades. It is less cool when you start playing a substantial fraction of your games against “Frost Nova, Doomsayer, go” before getting Ice Lanced out of the game. Figuring out a good trade is more fun than making educated guesses about how your opponent will kill your minions over the next few turns. I am not saying that some or all combo decks are inherently bad for Hearthstone. I am saying that when a deck is popular, it becomes less fun to play against. 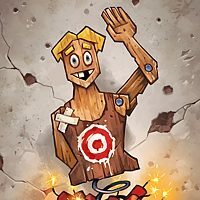 Popular combo decks have the further problem that they try to ignore opposing minions as much as possible, which is frustrating for most non-combo players. This is true whether or not a deck is easy or hard to play, although the decks that are hard to play tend to be less popular because less skilled players don’t play them as often. Also, saying that a combo deck is interactive because it has a bunch of removal is true only in the loosest sense of the word. Combo decks use their removal to try to reduce their interaction with their opponents as much as possible. Cards are interactive when they generate strategic options for both players. Minions are interactive because their controller has options on how to leverage their threat and their opponent has options on how to remove it. Removal itself reduces the strategic options for both players: it reduces the amount of stuff in play that can be interacted with. This isn’t to say that all removal is problematic – removal spells are very important for Hearthstone – but I see the idea of ‘this deck is interactive because it is really good at killing minions’ frequently and I wanted to challenge that assertion. Most combo decks, in addition to trying to avoid interacting with minions, also try to avoid letting their opponent interact with them. The problem with OTKs isn’t so much ‘I was at 30, then I lost’ as much as it is ‘I was at 30, then I lost, and there wasn’t anything I could do about it.’ You can play a taunt minion against a Leeroy combo, but again, most combo decks are very good at killing minions, so the idea that a taunt minion will save you against a Miracle Rogue that’s drawn their whole deck is a stretch. So, most combo decks try to avoid interacting with their opponents as much as possible, and then win in a way that is extremely difficult for their opponent to interact with in a meaningful way. It’s good when those types of decks pop up on ladder occasionally. But when those types of strategies are too popular and powerful, they are frustrating, and we nerf them. When they are not popular, we tend to let them be. Usually they are less popular because they are less powerful; often they are less powerful because they have to interact with their opponent. For example, the Aviana-C’Thun combo has to play a lot of C’Thun minions, which facilitates interaction for both players. Combo decks that aren’t super popular or super powerful are great to have around; as I noted earlier, they do a lot to add variety to the ladder. But you don't nerf, or grudgingly nerf decks, that are too popular that dominate other decks. That is you guys picking sides and not balancing OTK decks so they can be playable and popular but not domineering. Kripp was right when he said Loatheb should have been put in the evergreen set. Maybe even Kezan mystics would have been good moved to that set. You guys do have the ability to print counter cards to OTK decks. So, most combo decks try to avoid interacting with their opponents as much as possible, and then win in a way that is extremely difficult for their opponent to interact with in a meaningful way. This is also very true with hyper-aggro, because if I'm dead by Turn 4 or 5, then there was very little chance for me to interact in a meaningful way because the game was decided on Turn 2-3 when I'm already down at least 15-20 HP. It’s good when those types of decks pop up on ladder occasionally. But when those types of strategies are too popular and powerful, they are frustrating, and we nerf them. I'd argue that the too popular aspect is a result of the ladder system as it stands pre-floor, because I get severely punished if I try to experiment on ladder right now just to get in the initial 20-30 game data set to determine if the deck idea is salvageable with a few iterations on the deck design. Molten Giant's nerf is a prime example of a card that was interesting, yet was nerfed because it allowed for a deck archetype to exist out of almost purely basic/classic cards. Handlock was a very important deck to Hearthstone because it was a fairly cheap to put together control deck, which could help steer newer players away from only playing aggro and midrange decks. 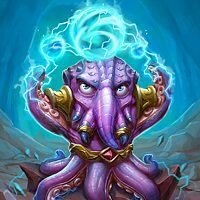 The lack of a cheap and easy to put together control deck (and combo deck for that matter) is a large reason why we're seeing so many aggro decks on ladder, and why aggro has been a problematic deck archetype throughout Hearthstone's history. This is why I believe many of the nerfs that have occurred since Standard's introduction to be mistakes because the sum total of the nerfs have only weakened control and combo decks while allowing the aggro decks to thrive. And when you do nerf aggro cards, the next set has twice as many to replace the ones that were nerfed without printing enough effective control and combo cards across multiple classes. The result is that we're forced into a handful of classes if we want to roll a control deck, and the general lack of win conditions for control decks tend to have games drag out to fatigue almost every game which is why the Control v Jade match up is so one-sided at the moment. Thanks for the in-depth post, Max. There's a lot to unpack there, so this will be a long response. Firstly, I want to note that I appreciate your comments that you do feel combo decks have a place, but that they are tricky for you to design around. I can understand being more cautious about providing combo tools and looking to specifically create combo decks because they have a wider variance in total power level. It's pretty easy to predict how strong an aggro card is going to be, but I can completely believe that it's a lot harder to predict which card will be the next combo tool. The best example surely has to be Potion of Madness. I'd bet my next 100 gold that you were thinking that would be a useful tool for Priests in the early game to use to trade minions and not fall too far behind in the early game. I doubt very much that you expected it to be the major linchpin of Djinni Priest. Figuring out a good trade is more fun than making educated guesses about how your opponent will kill your minions over the next few turns. This is one of the most blanket-applied, one-sided statements I have ever heard about what the definition of "fun" in Hearthstone is from Blizzard. I find that troubling, because we as players often find different things fun. For my part, if I wanted to spend my time figuring out good trades, I would play nothing but Arena. That's what Arena does best. Constructed, on the other hand, is a mix of minion trades and figuring out how to proactively respond to threats from my opponent. I see the idea of ‘this deck is interactive because it is really good at killing minions’ frequently and I wanted to challenge that assertion. I would like to challenge you back on this. Killing minions is interacting with them. This isn't limited to combo decks, as value-oriented control decks often spend the vast majority of the game killing minions until they can play a big threat that can't be removed. Is that really more interactive than a combo deck? When comparing combo decks to aggro, it's even worse. You playing a minion and me killing it at least involved both of us: you playing a minion, ignoring the minion I played and going face does not. Aggro decks, and face in particular, really aren't interactive when they become powerful. To put it simply, how can you claim that Freeze Mage killing your minions for eight turns, playing Alextrasza in front of an Iceblock on turn nine, and hitting you with Fireball-Fireball-Frostbolt on turn 10 is any less interactive than playing no cards and dying to Pirate Warrior on turn 4? In the former case, at least the other player got to play minions in an attempt to generate pressure, whereas in the latter case I've had many games where my slow deck got to use its hero power twice before I lost the game. And combo decks are somehow more of a design problem? Turn 2 I play a minion! Damn, you killed it with Frostbolt. Turn 3 I play a minion! Damn, you killed it with Forgotten Torch. Turn 4 I play a minion! Damn, you killed it with Fireball. Turn 5 I play a minion! Damn, you stopped it with Polymorph. Turn 6 I play a minion! Damn, you killed it with Flame Lance. Turn 7 I play THREE minions! Damn, you killed them ALL with Flamestrike! Based on what you've stated here, you don't feel that the Mage has been interactive up until this point. And you claim that the opponent also has been limited in their strategic choice. I disagree strongly. 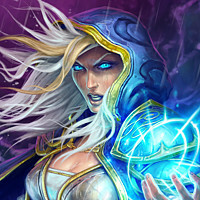 When playing Freeze Mage, you have a limited amount of damage you can use to end the game in your favor. You aren't relying on repetitive damage from minion attacks, you're solely looking to use burn spells as a win condition. Which means every single one of those burn spells that could go face is a strategic choice. Killing a 2-drop with Frostbolt is a major cost to a Freeze Mage's win condition. As the opposing player, you are directly interacting with their win condition just as much as if they were playing an aggro deck, played a 2-drop, and you traded favorably against it. You are limiting their capacity to win the game by playing your 2-mana minion. This can be generalized to all other combo decks. Only a very few have the potency to rely solely on a few cards strung together to end the game. Most of them can be forced into using combo pieces early, when they're not in a combo, simply to push back threats and stay alive. This IS interaction. And it's a very good kind of interaction, because it requires strategic choices from both sides. Yes, both sides, even the non-control player. When you play a minion, you SHOULD be considering how your opponent might kill it. You SHOULD be planning ahead, thinking about what your opponents' threats are, what you should and should not be playing around or playing into, and how you expect the flow of the game to proceed one, two, or five turns from now. I really can't disagree strongly enough with the idea that assessing the current turn and which trades are optimal is the most strategic choice that Hearthstone has to offer. Planning ahead is the most basic definition of strategy, and that's what combo decks require from both players. That is interaction. Predicting what your opponent will do, presenting your threats in an optimal way knowing that some of them are going to die, but planning out a way of still winning with the rest, is strategic interaction at its finest. But what I think is even more important to reiterate is the idea that combo decks are even close to the worst offenders in non-interactivity. That award simply has to go to face decks, period, full stop. Pirate Warrior is the worst case right now, but the Face Hunter and Face Shaman of yore were up there as well. Playing against Pirate Warrior as even a moderate-speed midrange deck can often end up with the Pirate Warrior playing minions, you playing minions, and the Pirate Warrior ignoring yours completely and hitting you in the face, following up with an Arcanite Reaper also hitting you in the face. But even if we solve both of those problems, I think the idea that minion trades are "fun" and removal is "not" is a huge issue for the game moving forward. Many people are expressing dissatisfaction with "Curvestone" decks, where I play a minion that matches the turn number and hope my minions are stronger than your minions. To me, that's not very strategic at all, because I'm not actually making decisions when I play cards. I just say "This is turn 4, I play my 4-drop" and send it over to you for your turn. 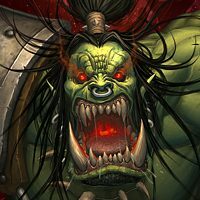 Even discounting some of the hyper-aggressive decks we currently have, some of the leading contenders fit this category, most notably Shaman decks. Totem Golem isn't a strategic card, it's just an over-statted 2-drop with one point of Overload. If you have it on turn 2, you play it, every single time. Whereas with a control deck of any kind, a 2-mana removal spell is not necessarily best played on turn 2. Shouldn't that be the kind of choice we want every turn, in every deck, to involve? I kinda have to agree with max on his second post. The second I realize I'm playing against a combo deck like frost mage or miracle rogue, it becomes almost as annoying as playing against a mill deck. Wow so they really do buy into that anti fun no counterplay bs. Sad. And as Mand said, many players feel exactly that way about face decks. Max is arguing that face > combo in regards to interactivity & fun factor, I am another who disagrees with this stance. And yet, having experience with multiple mill decks (especially the Gang Up fatigue Rogue), they are some of the toughest decks to pilot correctly because you absolutely have to balance board control with chewing through your opponent's deck. The trick with them is to push them hard enough that you force their saps on suboptimal targets, and using their Shadowsteps for healing, rather than drawing. With the frost mage, if you push hard enough and you're able to mitigate/resolve the doomsayers while still pushing in damage, you can force the deck to cave in and burn off it's win conditions. The trick is either pushing in enough damage so that their spells must be used to clear off board, or forcing them to Alex themselves to stay alive - as frost mages only have a finite amount of damage, and the game is about forcing the frost mage to spend the damage suboptimally. 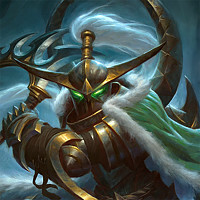 For example, Frost Mage against a warrior that's playing a deck that's all about stacking armor is a completely futile endeavour, because that Frost Mage will likely never beat that warrior because they warrior will gain so much armor that the deck literally does not have enough damage to kill them. The same is true for the Miracle Rogues. Of all the combo decks out there, FoN/SR druid was perhaps the easiest of them to pilot, but even that deck could be shut down if you swarmed the druid with enough stuff early on and forced a Force of Nature for board clear. Amusingly enough, FoN/SR druid would have died horribly in the current meta because the deck simply isn't fast enough to deal with the amount of damage output that the current hyper aggro decks output. Combo decks aren't unbeatable, and actually taking the time to build them out and play them does tons to help show you how fragile most of the combo decks really are, and also how hard it is to pilot them correctly. Additionally, you also learn what makes the combo decks fail, so you can use that knowledge when playing against them. There are 2 types of Combo decks. There are combo decks that do nothing but draw cards, removed 2-3 minions, then burst you down with combo. There are combo decks that play like control decks and finish you with of with a combo. We are calling this the same term. Blizzard sees them as the same type of deck. They are not the same type of deck. Max, old OTK hunter and PreNerf Miracle Rogue is not the same as Aviana-Kun Druid or Freeze Mage. 5-6 turns of removal is interaction. 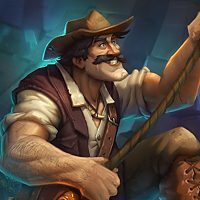 We should not be balancing based on the most popular deck % of the meta. This is what FoN/SR Druid was closer to. It got nerfed heavily because it was a solid Tier 2 deck (sometimes Tier 1), and much of the deck came from Basic/Classic. Being that it was a generally good deck, it was a solid tournament pick. 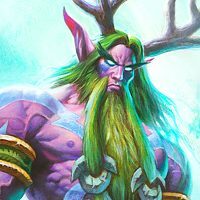 If there was ever a case for cards to have been rotated to Wild instead of having the soul of the cards raped with nerfs, FoN/SR Druid is the prime example. Thats not true. Force Roar was nerfed because it was used in every single Druid deck, not due to the strength of the combo. Its one of very few nerfs I agree with as its not much fun knowing you have to be at 15+ health on T9 against any druid deck or expect death. Yes, all classes have staple cards, very few of them are used as the same finisher that Force Roar was. Ramp, Combo, MR, even Aggro all using it. It deserved the nerf to promote diversity within the class. 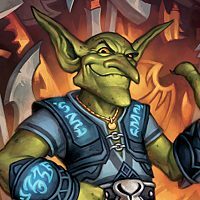 I completely support the devs in nerfing combo decks for HS. Because HS lacks things that are commonplace in other CCG's. Namely the ability to properly disrupt or respond to the combo in question. No real instants and most importantly no means of reliable discard/hand manipulation. Combo is DANGEROUS in HS. I know this isn't a popular opinion but I don't actually think Blizzard has gone far enough yet. Auctioneer and Thaurissen are among the most problematic cards in the history of this game. Granted they don't have a heavy impact in every meta but I feel they've show just how bad and BORING combo decks can be. Decks built around auctioneer just focus on cycling your library as quickly as possible minimizing board interaction to do your thing. This isn't a satisfying playstyle to promote in my opinion. Its not engaging to build decks that just cycle for combo. Idol Druid could be seen in the same way. The deck isn't competitive right now but I don't feel it promotes a FUN method of game play given the limited mechanics that surround this game. Thaurissen took combos that weren't meant to exist and made them more reliable and accessible. Most notably Leeroy+Faceless+PO in Warlock. The mana costs and NERF to Leeroy was done to prevent exactly this problem. I 100% agree with the OP that none of this matters in the face of a meta that ends on turn 6 but the game won't always be like that and so I agree with Blizzard's stance to discourage 'cycle combo' decks. Edit: I failed to be clear on the kind of combo I actually SUPPORT in HS. It's perfectly handled. The deck stalls and builds for its combo relying on secrets that anyone can counter in advance. It then requires a turn 9 Alex leaving its mana wide open and the class in danger. This also gives the enemy a chance to potential heal. Then finally it kills on the following turn. This is a combo deck that's 100% interactive throughout the game and give multiple opportunities to act. Completely unlike the 20 charge damage from hand combo the moment your opponent no longer has taunt in the late game. I enjoy combo decks and have played several variations to little to no success :). That being said, I feel they have what I would describe as the 'disappointment' factor. Vs midrange or face you tend to have a clear idea of how the match is trending as it goes along based on board control. Vs combo, you can feel confident the whole game only to have a huge disappointment at the end of the match when you get combo'd down, often seemingly from nowhere. Is this a fair assessment of the match? Is it OP? Not necessarily, but it's still hard not to be unhappy about the loss.